Sue Charlton 01/01/2014 03/01/2014 Plate Up ! 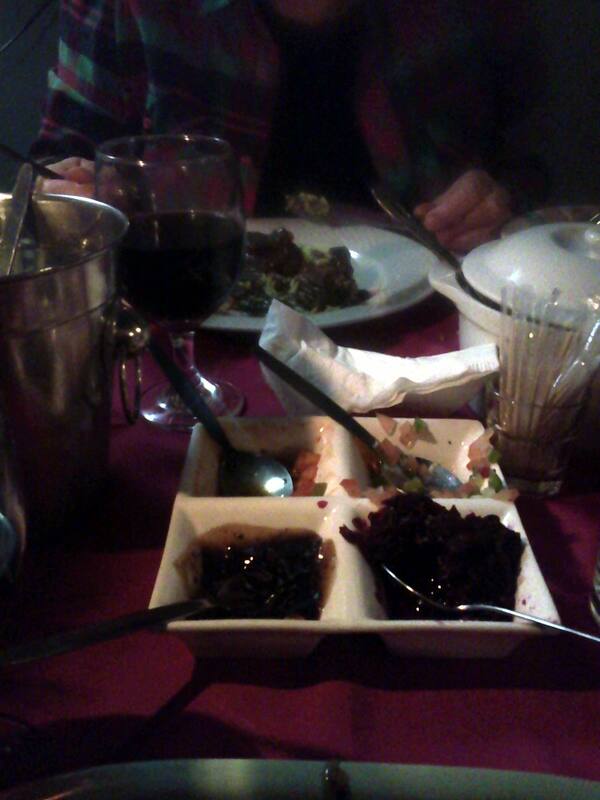 What an experimental eating out 2013 it was – some of the tried, tested and trusted have fallen by the way side and some of the newbies, well they keep us coming back. Being a burger boffin, the best burger as voted by ‘moi’ is at Aarya, at Montecasino, Fourways, the restaurant is run by SA Masterchef winner Deena Naidoo. Fresh. Succulent. Delicious. Yum. Well priced, beautifully served. Fine glassware and real linen and good service. Better half loved the curry and the presentation. 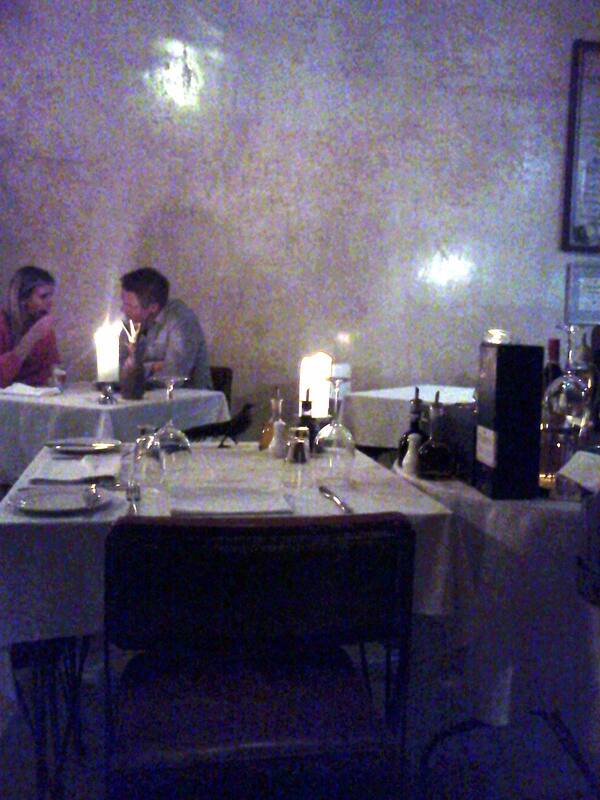 The best dining experience as voted by my better half is Thomas Maxwell in Parkmore, Johannesburg. Great service. Simple but comfortable surroundings. Greeted at the door. Superb food. 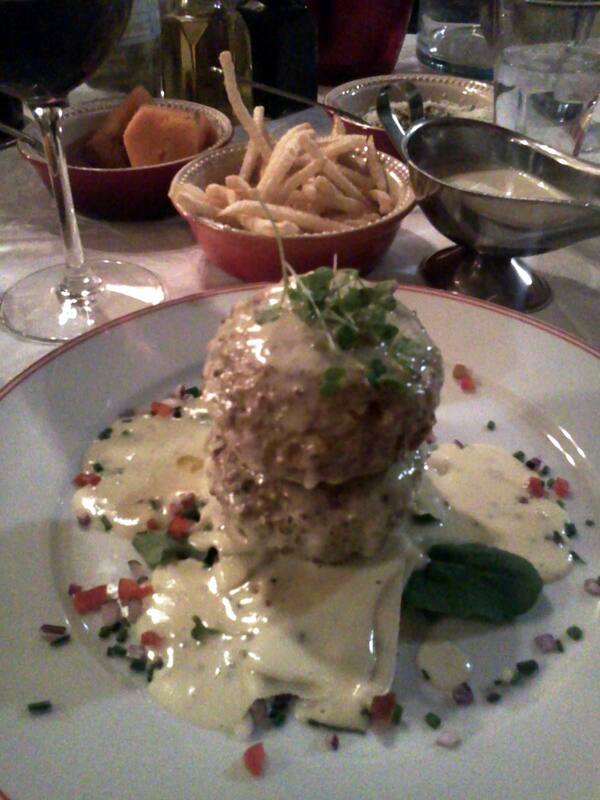 The double decker fish cakes were out of this world as was the tomato tart. Fine dining at its best. The other wonderful dining experience has to be at Cavers, Bedford, Eastern Cape – not because the food was all home grown, tasty beyond words and that we had the glorious dining room all to ourselves – elegant par excellance – but because the whole ambiance, cutlery, crockery and fine linen just made it an evening to savour and relax into after our long drive. 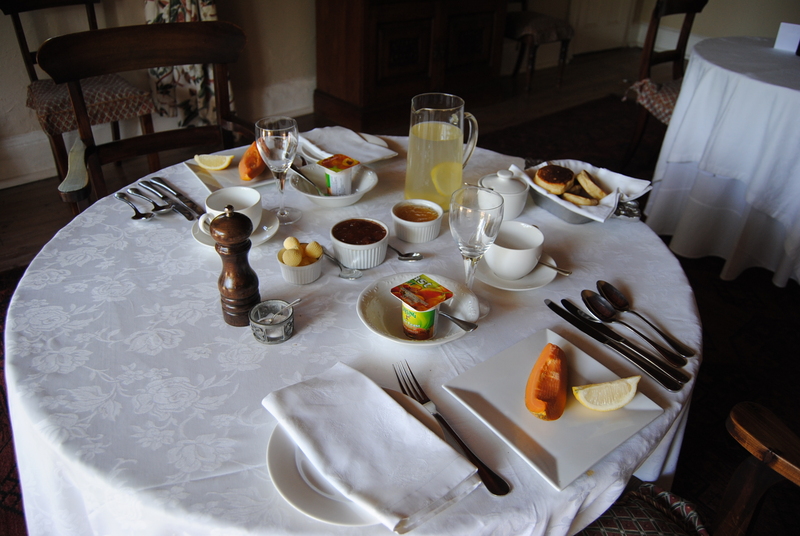 The breakfast the following morning was equally divine dearies…. yearn! The newbie on the block is the fabulous Namak, Blairgowrie, a newly opened Indian restaurant that is going to take some beating. A gorgeous vegetable based Navarathan Khorma with fruit, a tender chicken Khorma will keep us coming back for more. 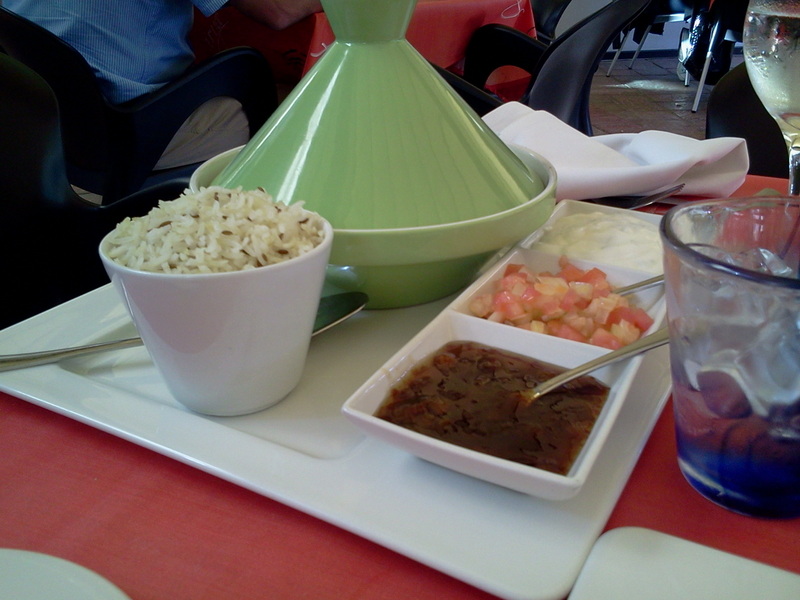 Just loved the freshly prepared dishes.The polite service. The fish starter was equally scrumptious. Lovely comfortable chairs, good linen, linen napkins, fine glassware. We will go back in a flash, Birkana in Linden, has its work cut out for it now. The fallen or the falling include Tei Avon, the Mediterranean restaurant in Victory Park that I so loved earlier in 2013. It’s falling because their food is looking bland. Tasting bland – maybe it is the basting? (bar the meze obviously).The great burgers have lost their zing and are now mediocre. My biggest complaint is that their burgers and steaks are just stodge, no accompanying salad or veg – just chips. One feels like a rock boulder rolling home. Melissa’s in Parkhurst, Johannesburg didn’t grab us either – obviously getting too big for their jam jars! 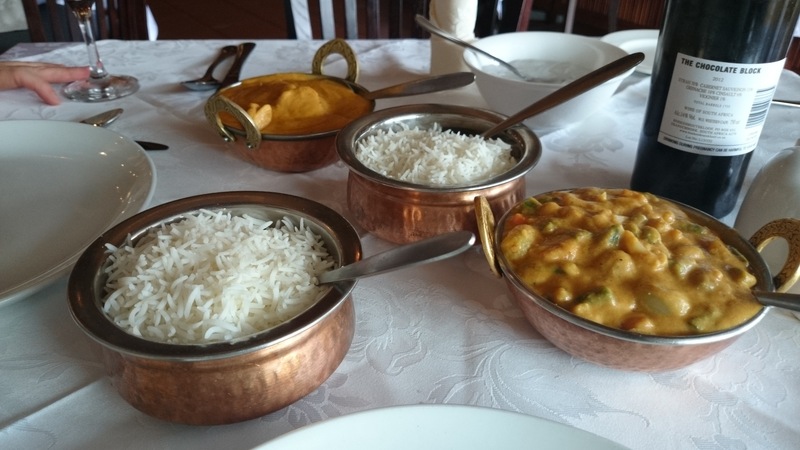 Red Chilli Spice in Craighall, Johannesburg, kind of started off potentially good, but after three visits the vegetarian curry became boring and uninspiring. 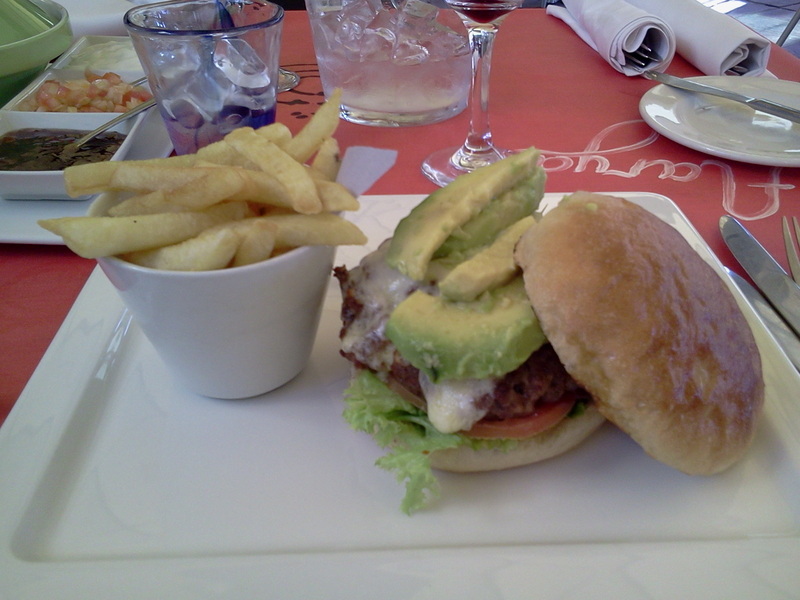 The Grand Café in Hyde Park shopping centre gives great food. Tad expensive but the service is very good. Better half was on crutches and in a knee brace – her cappuccino arrived with a merry xmas and a get better soon message in the froth – now that is attention to detail no ? So roll on 2014, well not literally you understand….gonna be a crackling cutlery clinking glass consuming food kinda time. Ching Ching!